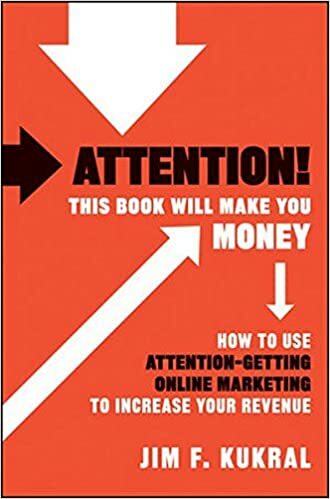 I’ve been on a bit of a publicity death march lately with the launch of We, so with some irony I’m late in getting to read and review Jim Kukral‘s Attention: How to Use Attention-Getting Online Marketing to Increase Your Revenue. Damn I wish I had read this a year ago before my own book launch. Or how about this killer idea…can’t get through to someone with your message? Make a quick, cheap video using a Flipcam or your laptops built in camera, upload it to YouTube tagged with your target’s name, then email them and say “Search for your own name on YouTube and check out the video about you. Let me know if you want to talk further about this idea.” Who wouldn’t jump right to YouTube to see what video is public and tagged with their name! There are literally hundreds of ideas in Attention! that could help you to get attention and coverage. A fun read with immediate impact.